The AutoRecover feature in Microsoft Excel 2013 can help to save your work in the event that your computer shuts down unexpectedly before you have the opportunity to save it. Excel will typically perform an AutoRecover at a specified interval (usually every few minutes), thereby ensuring that you are only missing a small amount of information in the event that the file closes before you can save it manually. 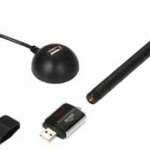 But you may encounter situations where you would prefer that AutoRecover not run for a specific workbook. 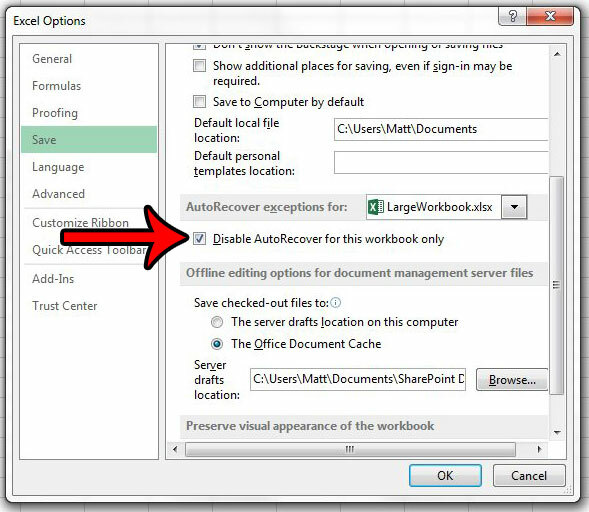 Fortunately Excel 2013 has a setting that allows you to control AutoRecover on a workbook-by-workbook basis. 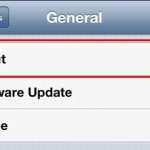 Our tutorial below will show you where to find this setting. 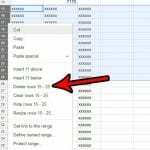 The steps in this article are specifically for turning off the AutoRecover feature for the workbook that is currently open in Excel. 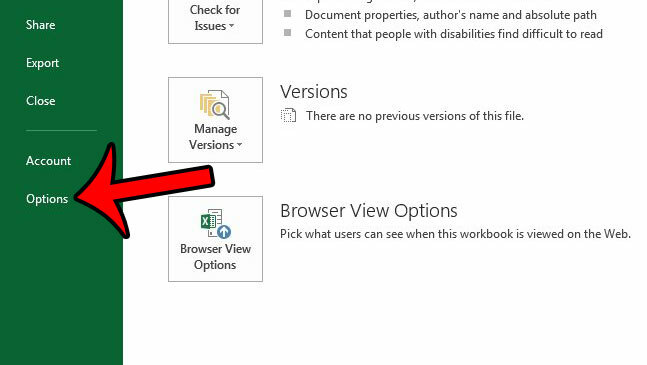 it will not affect the AutoRecover settings for other workbooks that you open in Excel, although the global Excel AutoRecover setting can be found on the same menu, if you decide that you want to turn that off as well. Step 1: Open the workbook for which you wish to turn off AutoRecover. 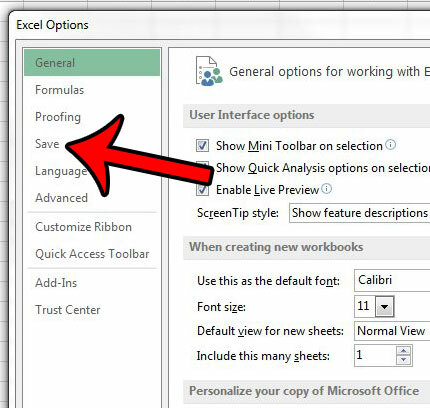 Step 4: Click the Save tab in the left column of the Excel Options window. Step 5: Scroll down to the AutoRecover exceptions for section (the name of the current workbook should be listed to the right of it) then check the box to the left of Disable AutoRecover for this workbook only. You can then click the OK button at the bottom of the window to save and apply your changes. 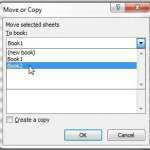 If you find that you are always changing the type of file that you save to in Excel 2013, it might be easier to just switch the default file type. 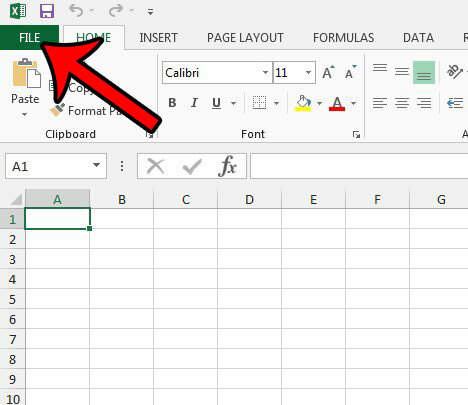 This article – https://www.solveyourtech.com/how-to-save-as-xls-by-default-in-excel-2013/ – will show you where that setting can be found.